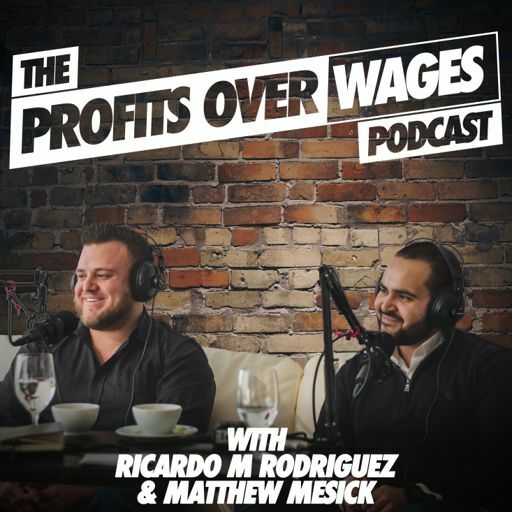 On episode #34 of the Profits Over Wages Podcast we sat down with Jefferson Lilly - he is a mobile home park investment expert, educator, and industry consultant who has been featured in the New York Times, Bloomberg Magazine, and on the 'Real Money' television show. Prior to co-founding Park Street Partners in 2013, Jefferson spent seven years investing his own capital at Lilly & Company where he acquired and continues to operate mobile home parks in the Midwest. Prior to becoming an investor full-time, Jefferson spent 10 years in sales leadership roles with several venture-backed startup companies in Silicon Valley that were acquired by Openwave Systems and VeriSign. He is also the host of his own podcast, Mobile Home Park Investors, the first podcast dedicated to investing in mobile home parks. On this episode, we talk about why the mobile home park industry is a compelling business. We go in-depth about investing in mobile home parks, the pros, the cons, what to do, what not to do, the due diligence process and financing. Jefferson also gives us an insight into how he went from 1 to 2 to 25 mobile home parks and the growing pains that came along the journey and how he overcome them.